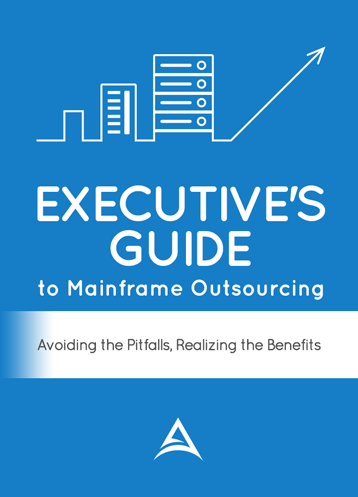 In addition to misconceptions, some executives express fears about the outcome of mainframe outsourcing that can delay decisions. The number one fear is that expected cost-savings will not materialize. Some businesses report that outsourcing enabled them to realize only short-lived cost-savings from the arrangement – usually in the form of OPEX reductions – that disappeared after the first 12 to 24 months. However, such outcomes are not the norm, and often suffer from insufficient facts about the impact of increasing technology costs, staffing shortages or other factors that could significantly drive up internal costs for in-house IT. It is important to keep in mind that the business model of the mainframe outsourcing service provider depends, fundamentally, on their ability to deliver lower cost of operations to clients based on economies of scale. By sharing personnel, hardware, software and infrastructure costs across many customers, vendors realize lower costs in their own environment. Passing these savings along to clients typically yields customers savings of 21% from outsourced IT operations versus in-house. In the final analysis, your cost savings will depend on the vendor you choose, the details of the contract that you negotiate, and the future strategy for your mainframe applications. An outsourcing advisor can be of service in all aspects of your outsourcing journey.